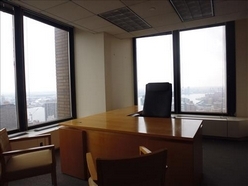 Grand Central Office Space | Park Avenue Ave - $57 / 2624 SF. 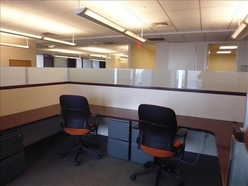 Efficient bright corner space with great sunlit exposure (from 2-sides) from a high floorplate offering views of Midtown Manhattan to the East River. 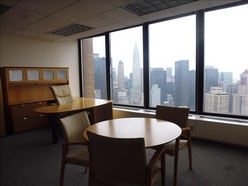 Truly unique with skyline views of the surrounding area.The office itself consists of two open work areas in a newly constructed, bright, open plan, serviced by a 2 private restrooms and wet pantry. The office herein has been configured with three (3) private offices, seven (7) workstations, 1 conference room, and a reception desk. 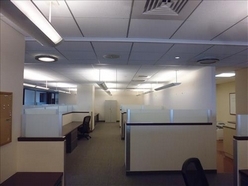 Space measures 2,624 SF. Tenant controlled HVAC, the landlord will modify for specific requirements. Cooling is via a tenant controlled package unit. Charming art deco lobby is attended 24/7. 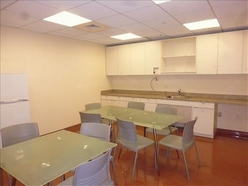 Landlord will modify the space for the right tenant. 3-7 lease term. Available for immediate occupancy. 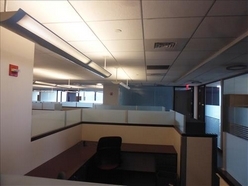 Great space for creative or technology user.